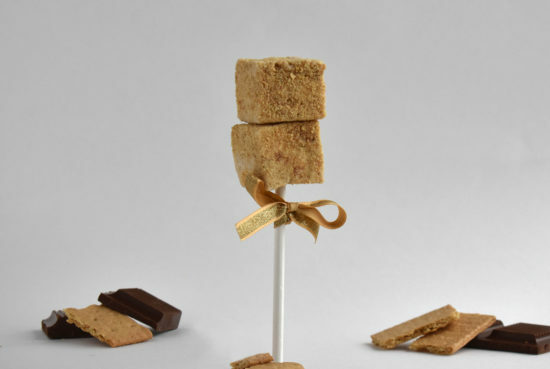 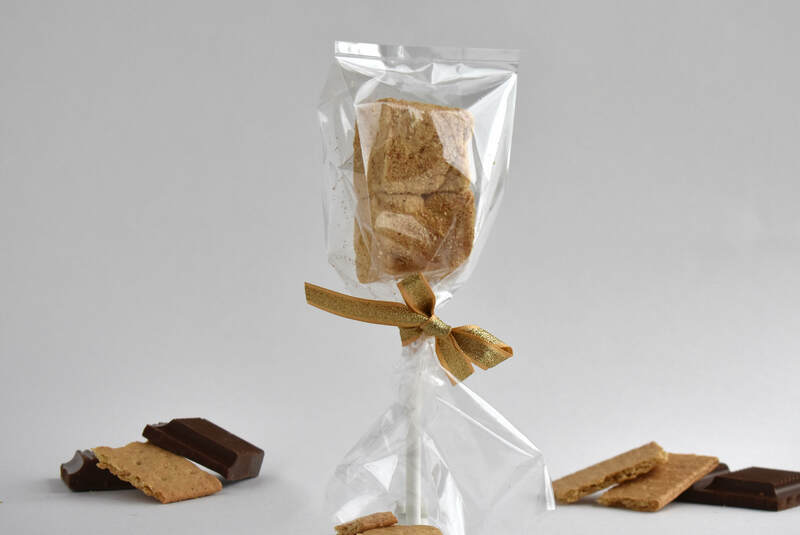 Each Ultimate S'mores pop consists of 2 delicious marshmallows on a stick, wrapped in a clear bag and tied with a gold bow. 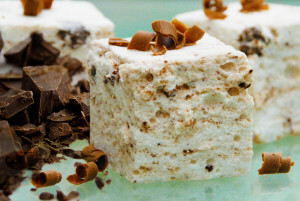 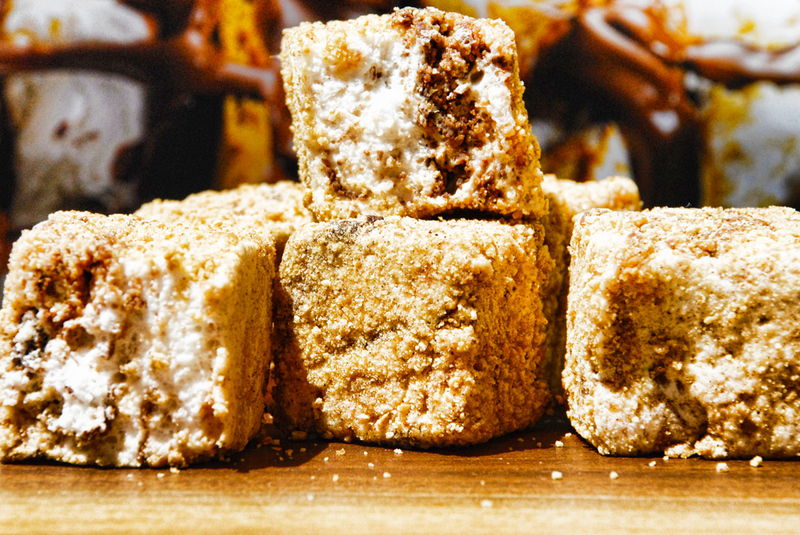 Creamy and smooth Vanilla marshmallows, filled with Belgian milk chocolate and Graham cookie bits and roll it into crushed Graham cookie dust. 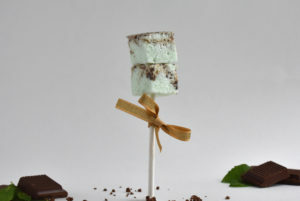 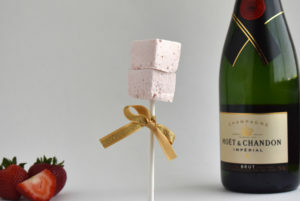 Our marshmallow pops are perfect favors for your next special event!